In 2004, my book was translated and published in France as, L’ Affaire du Dahlia Noir, and became a national bestseller in that country. That same year, I was invited to Paris by my publisher, Seuil and did a number of press radio and television interviews. Two years later, in June, 2006, I was invited back to Paris, to speak at the Pompidou Centre. My talk included an hour PowerPoint presentation followed by a second hour of audience participation—Q & A. A number of subjects were explored and the entire talk was videotaped. One of the questions asked dealt with the subject of the LAPD. The questioner wanted to know what exactly they had done as follow-up in the three years since my investigation was made public. Q: Has the Los Angeles Police Department responded to your Black Dahlia investigation? The real tragedy in the original 1950 Cover-Up of the solution to the Black Dahlia Murder and Obstruction of Justice comes with the result and knowledge that all those involved: DA Simpson, DA Bureau of Investigation Chief H. Leo Stanley and his subordinate, Lt. Frank Jemison, LAPD Chiefs William H. Parker and Thad Brown all these men have blood on their hands. Not only the blood of Elizabeth Short and the rest of the LA Lone Woman Murder victims but of those victims that followed in the decades to come. Had these named command officers and prosecutors taken action and done their duty, Dr. George Hill Hodel would have been arrested, tried and convicted and there would be no future victims. If my follow up investigation is correct, and I believe it is and expect DNA will eventually prove me right, the below-named individuals would never have been slain and would most probably gone on to live happy and productive lives. 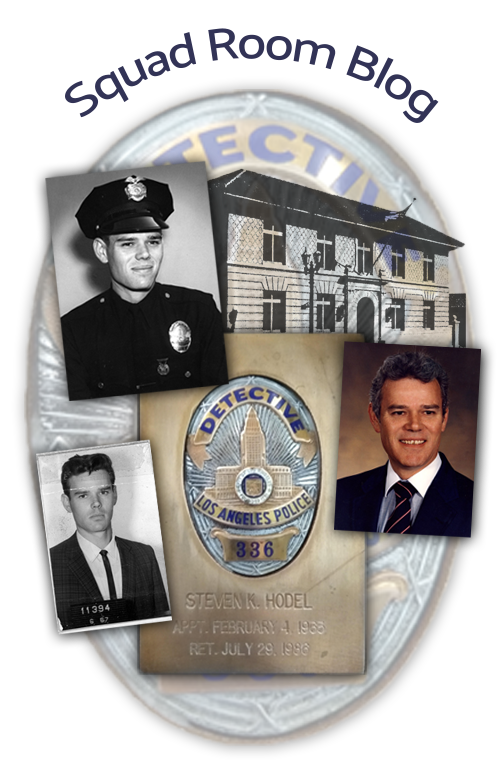 Posted in Uncategorized and tagged Steve Hodel Black Dahlia Coverup, Steve Hodel Pompidou Centre Talk, Why LAPD Black Dahlia Coverup?